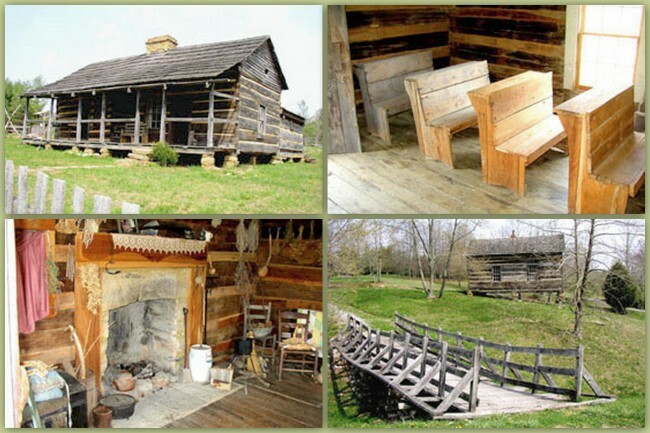 Nestled in the Appalachian Mountains of eastern Kentucky is a well-hidden treasure called The Mountain Homeplace. 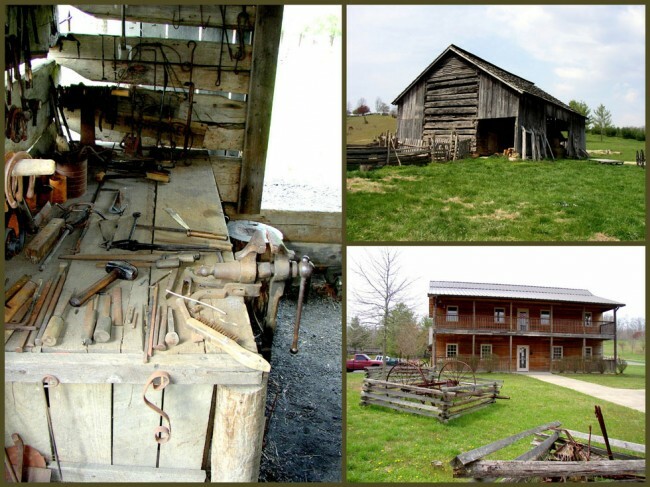 Located in Stafford, near the Paintsville Lake State Park, this site features a mid-1800’s working farm. In addition to a rustic Welcome Center, featuring a wonderful gift shop brimming with arts, crafts and homemade candy, you’ll find an array of interesting log structures, each with its own story to tell. The “crowned jewel” of the site has to be the McKenzie cabin. 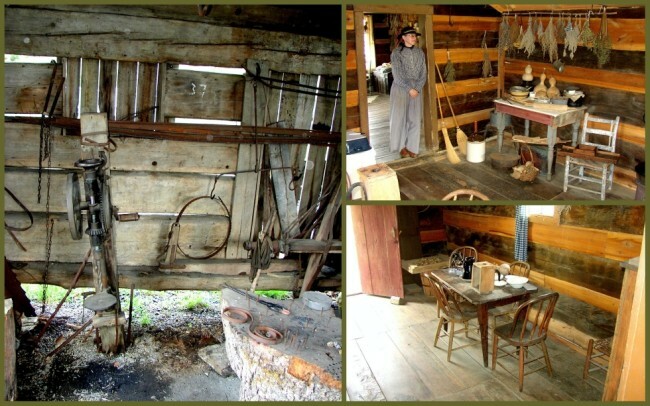 This beautiful cabin, raised in 1860 was constructed around the well for a variety of reasons, not the least of which was easy access to water. If you’re lucky, you’ll be there when local musicians perform era music. 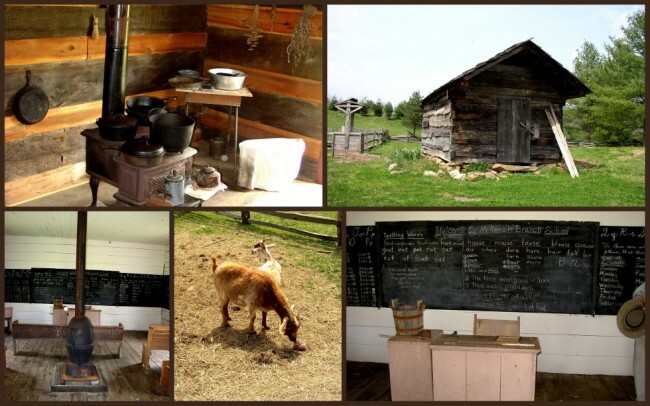 No pioneer homestead is complete without the legendary one-room school. The Mountain Homeplace has you covered with just such a building. Not only was it used for educating the children (and perhaps a few adults as well), it was also the local community center. Contrary to popular belief these early schools were not necessarily painted red. The McKenzie school was constructed of sturdy, unpainted logs. To make sure the students studied their hardest and didn’t “nod off” while in school, the benches were deliberately made to be quite uncomfortable. With goose quill pens in hand they made their marks with juice squeezed from the elderberry. One of the highlights of your visit to The Mountain Homeplace will undoubtedly be the Fishtrap Church. On the first Saturday and Sunday of every month, the sounds of hymns would ring through the woods and fields. Make sure to check out the various pews inside, one dates back to 1851. 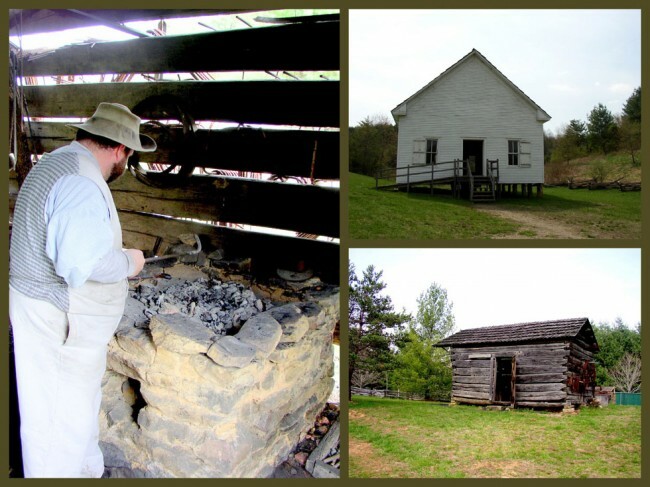 Hard times and poverty brought the community together in faith, oil lamps provided light and pot-bellied coal- burning stoves provided heat. Baptisms were performed in local creeks and rivers, summer and winter. Because this is a working farm, you’ll also find a variety of utility buildings to explore. Make sure to stop by and visit with the on-site blacksmith and take time to tour the double crib barn and hog lot. You can contact The Mountain Homeplace by calling (606) 297-1850, or visit their website at http://mountainhomeplace.com. If you’re in the area, make sure to catch the Paintsville Apple Day Celebration the first Saturday in October. Last modified on: February 16th 2014.